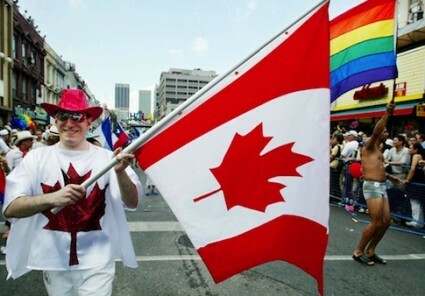 American taxpayers are paying over $52,000 to study 16 LGBT individuals who have schizophrenia in Toronto, Canada. The research project, "Defining Community for LGBT People with Schizophrenia," will follow the lives of a handful of lesbian, gay, and transgender individuals for one year to study the societal "barriers" of this group. "Sexual and gender minority individuals with severe mental illness (SMI) are amongst the most marginalized individuals in North American society," the grant, which was awarded last August, said. "They face multiple and intersecting forms of discrimination that compound the effects of having a major mental illness, hampering recovery and frustrating efforts to meaningfully participate in our communities." The Centre for Addiction and Mental Health, in Toronto, will conduct the study, which will cost $52,773 in its first year. The project lists an end date of July 2015. Dr. Sean Kidd, head of Canada’s Psychology Service in the Center for Addiction and Mental Health's Schizophrenia Program, will lead the project. "Complementing a study of community participation amongst an ethnoracially diverse group of individuals with schizophrenia in Toronto, Ontario, this project will involve the development of a new arm of the study that would focus specifically on lesbian, gay, and transgender individuals with schizophrenia," the grant explains. The researchers will examine the community "experiences" of 16 gay Toronto schizophrenics three times a year, using interviews with family members and "convenience store clerks" with whom the individuals interact with on a regular basis. "Using interviews, ethnographic observation, and the creation of maps to geographically locate places of risk and resource, we will examine the physical, social, psychological, political, economic, and cultural dimensions of community participation," the grant said. The researchers said they would create a "nuanced description" of what community life is like for this select group. "Specifically, this study will identify the experiences, beliefs, behaviors, and places that constitute community participation for lesbian, gay, and transgender (LGT) people with schizophrenia and those with whom they interact," the grant said. "It will provide an intensive and nuanced description of community participation for these groups that will offer policy makers and clinicians in-depth information which may help them in improving services." The project hopes to "lay the groundwork" to reduce "discrimination" and "facilitate community participation among sexual and gender minority individuals with severe mental illness."